Our first visit to this field was to gain access to the Parish Boundary for Stint 28 of RAPS (Rothley Ancient Parish Survey). 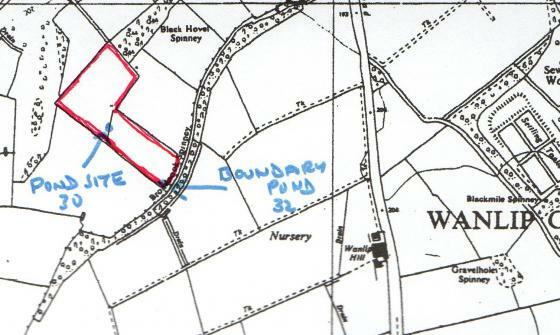 On the maps it shows a hedgerow boundary through the centre of this field and a Field Pond serving both fields on each side. 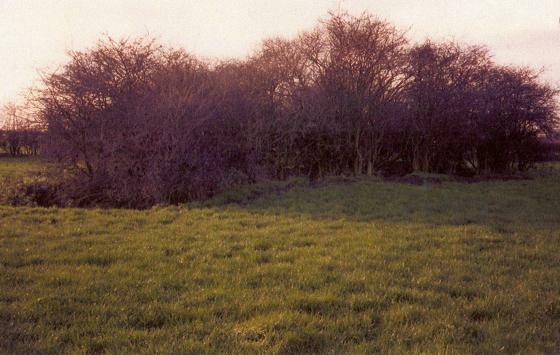 This pond was in existence in 1994, see photograph, and surrounded by hawthorn although the boundary hedge had been removed. The pond has since been filled in but I have recorded this as Pond Site 30 Church Wardens Pond. 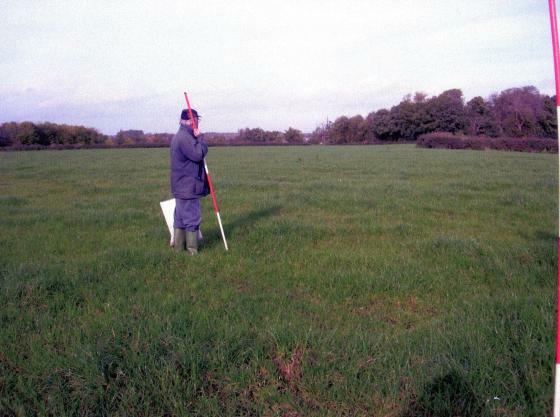 The Treasurer of Rothley Parish Church receives a rental twice a year from the user of this field. 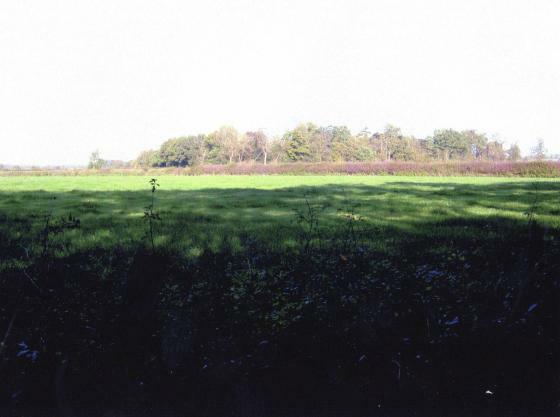 This field appears on a map of 1780 as in the ownership of the 'Churchwardens of the Rothley Church'. A return will be made to record the other boundaries and features. Site 212 Pond 30 Church Wardens Pond in 1994. Owners: Mr Tony Cooper, Southfield Farm, Town Green Street, Rothley fro Stint 28A and Mr Bill Wright, Brookfield Farm, Hallfields Lane, Rothley Stint 28B onwards. It was decided to approach this part of the boundary from Broadnook Spinney on the Wanlip side due to access problems experienced on the previous stint caused by an additional newer ditch on the Rothley side. However, an unmanaged spinney with fallen trees is still not easy but as we have now seen the newer ditch merged with the boundary ditch we will access Stint 29 from the Rothley side. 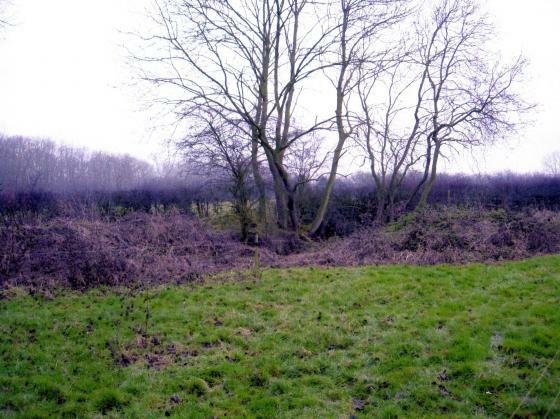 Once again we have the boundary bordering an unmanaged spinney so the original hedgerow has suffered badly from competition from trees and overcrowding. In addition, at some fairly recent point, the newer ditch has been re-dug using a mechanical digger as evidenced by the soil mound on the Wanlip side. This soil makes a bank, also covers fallen trees and makes access to the boundary very difficult in places. It is also evident that the digger has damaged some of the boundary hedgerow bordering the pasture field of Church Wardens Land but the cattle are restricted by an electric fence so the hawthorn hedging was not essential to the farmer. If you look carefully you can still see parts of ancient hawthorn stumps and a small amount of elm shows good re-growth. I know from living in the village for over 40 years that there were many mature Elms on Brookfield Farm. 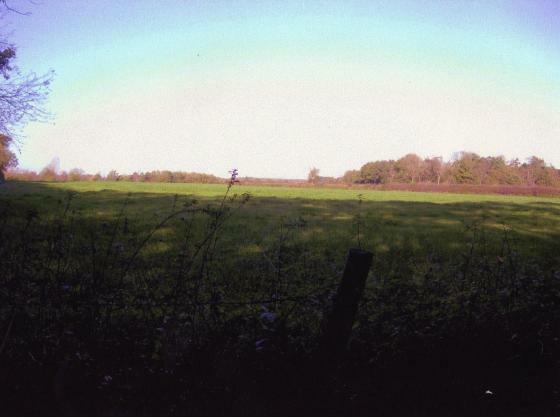 We will continue this part of the boundary from the field side of Rothley. 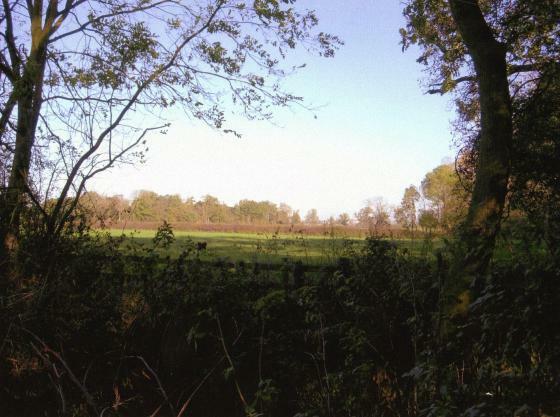 This was easier access to the boundary hedge on the 30th November than the previous week from Broadnook Spinney. The boundary hedgerow continued as in Stint 28 with Broadnook Spinney still running alongside the whole of the stint with fallen trees and lots of shading of the boundary species. There was some evidence here of the hawthorn having been laid many years ago. Also, some good small stretches of blackthorn. It was good to see strong re-growth of Elm in Stint 29C, I wonder how long it will last before it dies back? The ditch was very full of water. Where Site 211 South Field (Bagguleys) joins Site 212 Church Wardens Land they are divided by a good, strong hawthorn hedge but there is an interesting small piece of land on the Church Warden's side where it borders the boundary. 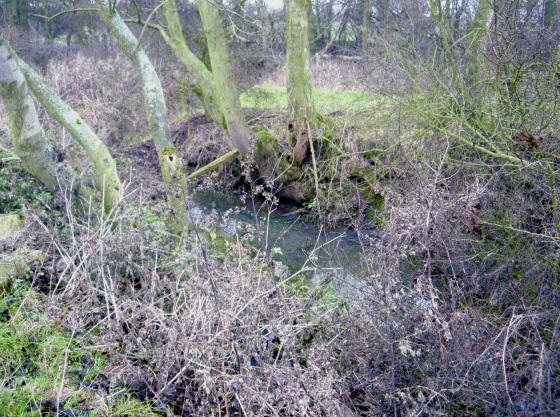 There is a small pond, Pond 32, full on the 30th November 2005 that is enclosed by 4 Ash trees, none of which can be classed as 'Ancient', but this only appears to provide water for one field when they normally are at a junction to provide for two or three. 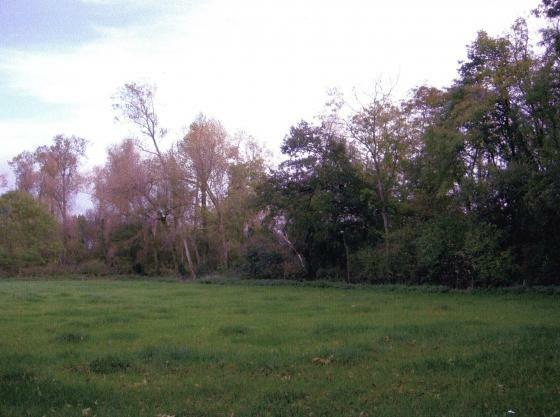 Also, although it has been filled in, there was another pond in Site 212, which did serve two fields. 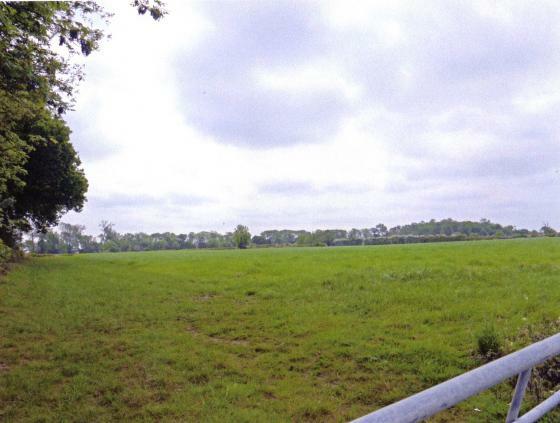 There is a considerable rise in the land around the pond on one side and also evidence of heaped soil that would have come from the digging of the ditch running from the pond down to the ditch that runs along our boundary. This piece of land and pond are shown on the old maps. A further visit is needed for completion of the details and photographs, as the weather had turned wet since our arrival at the site. 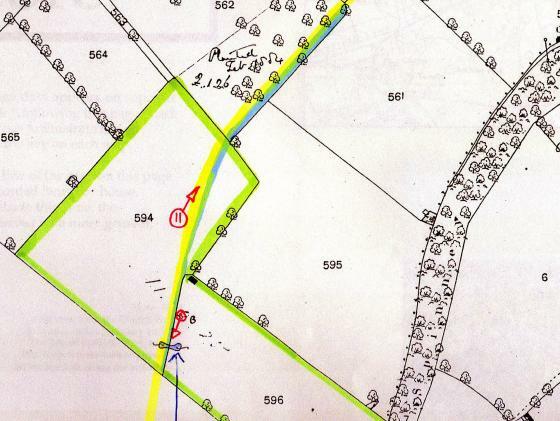 More research is needed on old maps to see what is revealed about this pond and site.